The starting point for understanding the sacredness of marriage is the awareness that God is its Author. Marriage is a sacred relationship, a covenant of love that unites a man and woman as a couple with God. It is the model and symbol of God’s love for his people, and it forms the very foundation on which family life and, ultimately, society itself is built. Marriage also forms the basic cell of the church. It is the first church, the church of the home, the place where God’s love is made real, where children are formed and nurtured, where human life is protected and where all can grow in God’s grace. For helpful information about marriage and ways to enrich it, click HERE to access the For Your Marriage website. Marriage preparation begins when a couple meets with the parish priest or deacon. The wedding date is only set after this initial meeting. The Marriage Policy of the Diocese of Cleveland requires at least a six-month period of preparation before marriage. 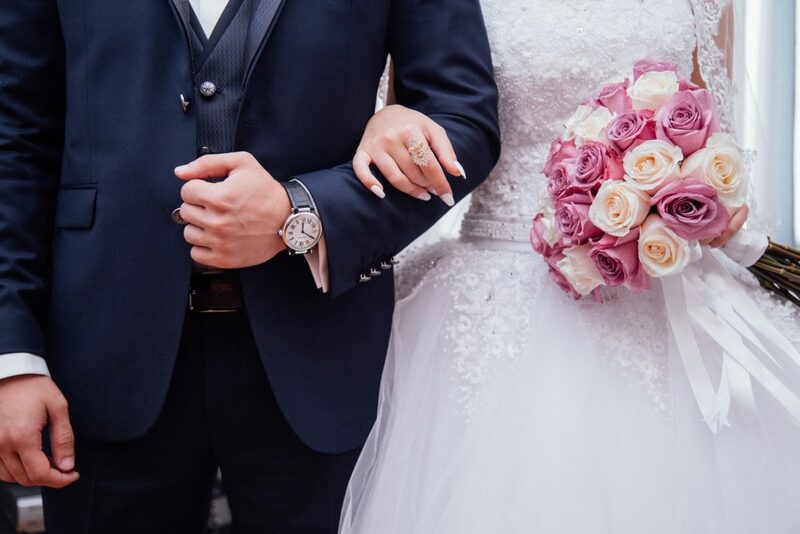 In practice, many couples approach the church much earlier to assure their desired wedding date and to allow ample time to complete their preparation. Preparation for marriage at Holy Martyrs includes three parts: spiritual preparation, formation, and the practical steps involved in planning the wedding liturgy. at Holy Martyrs, click Here.